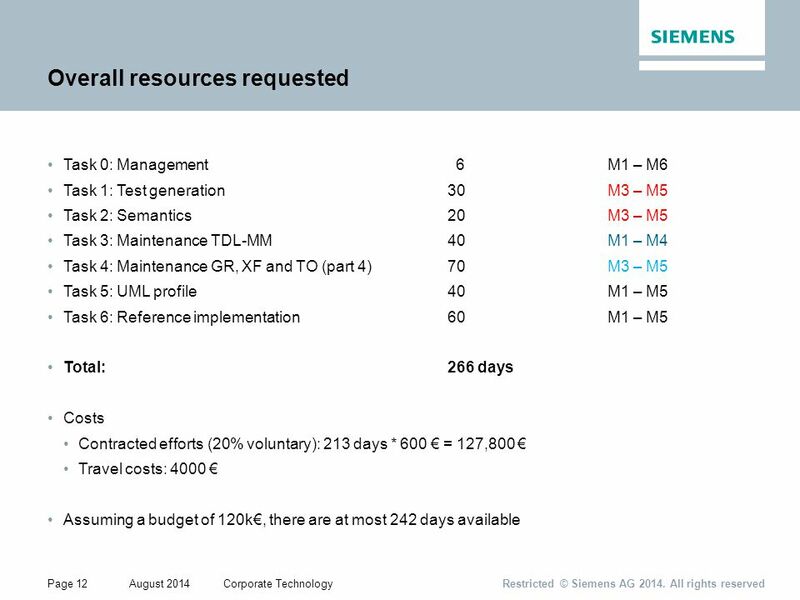 Restricted © Siemens AG 2014. 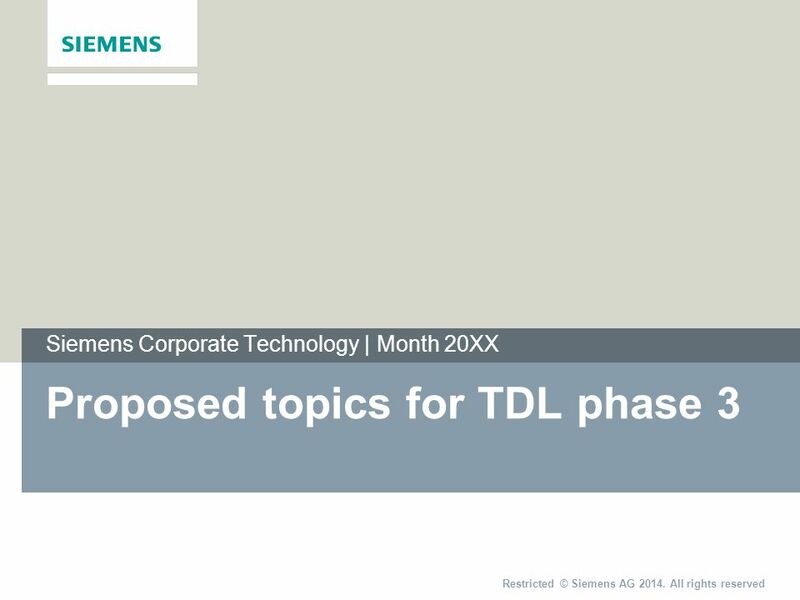 All rights reserved Siemens Corporate Technology | Month 20XX Proposed topics for TDL phase 3. 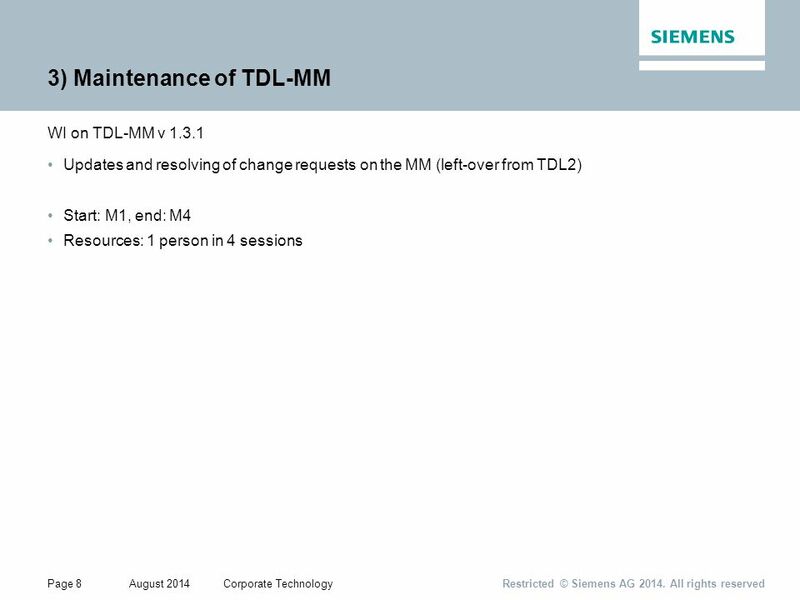 6 Page 6August 2014Corporate Technology Restricted © Siemens AG 2014. 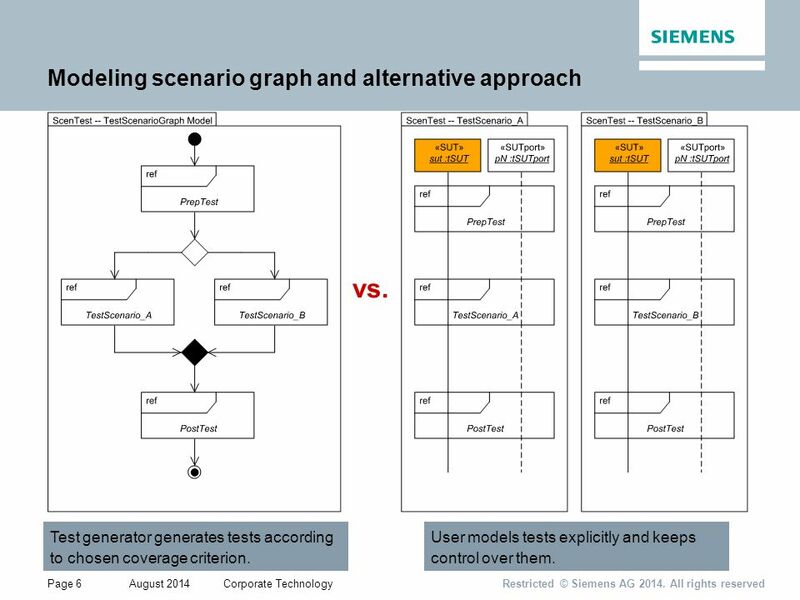 All rights reserved Modeling scenario graph and alternative approach vs. Test generator generates tests according to chosen coverage criterion. 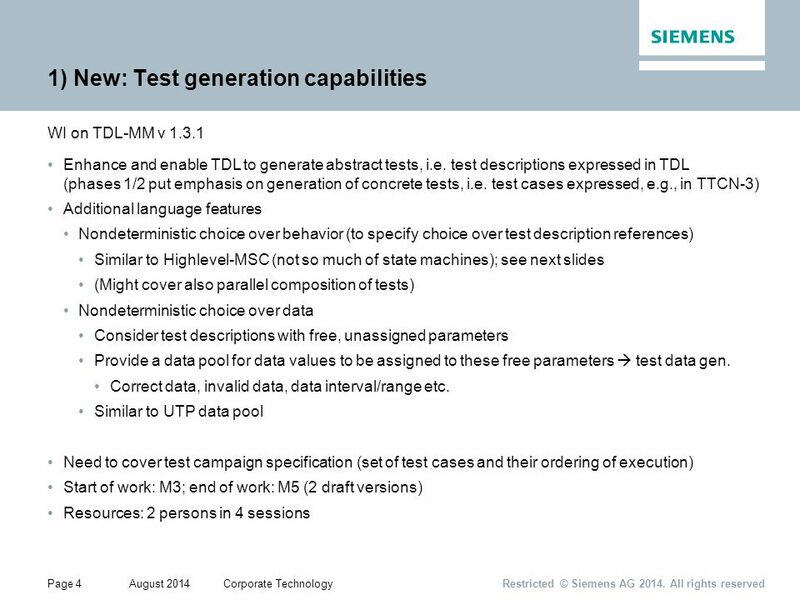 User models tests explicitly and keeps control over them. 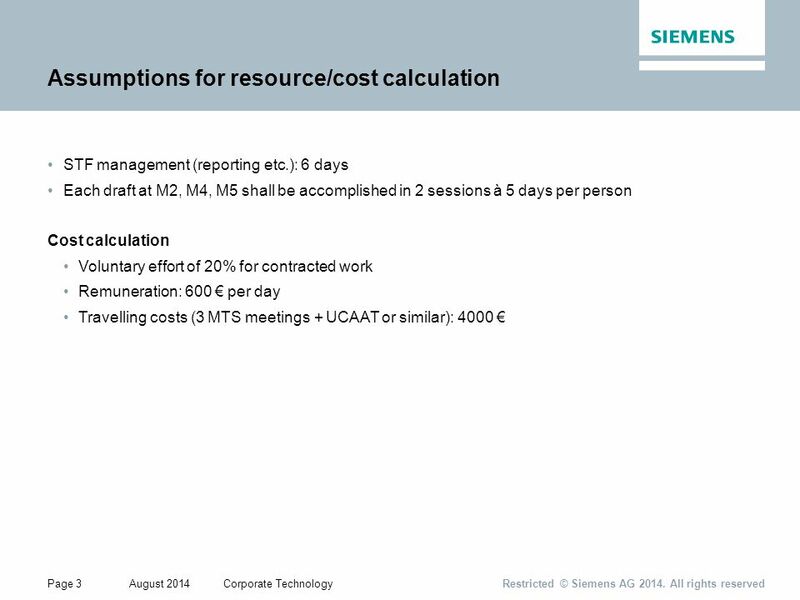 Download ppt "Restricted © Siemens AG 2014. 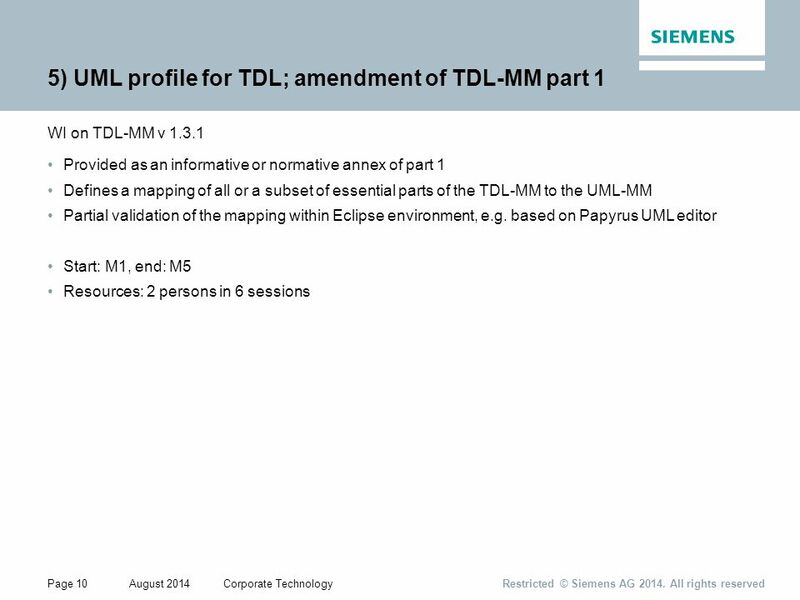 All rights reserved Siemens Corporate Technology | Month 20XX Proposed topics for TDL phase 3." Kellan Hilscher. 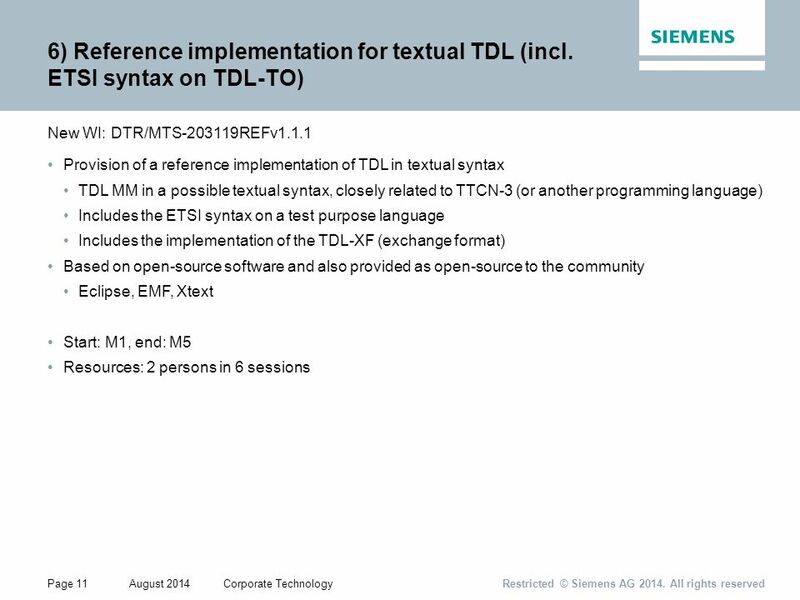 Definition Different perspectives on the components, behavioral specifications, and interactions that make up a software system Importance. 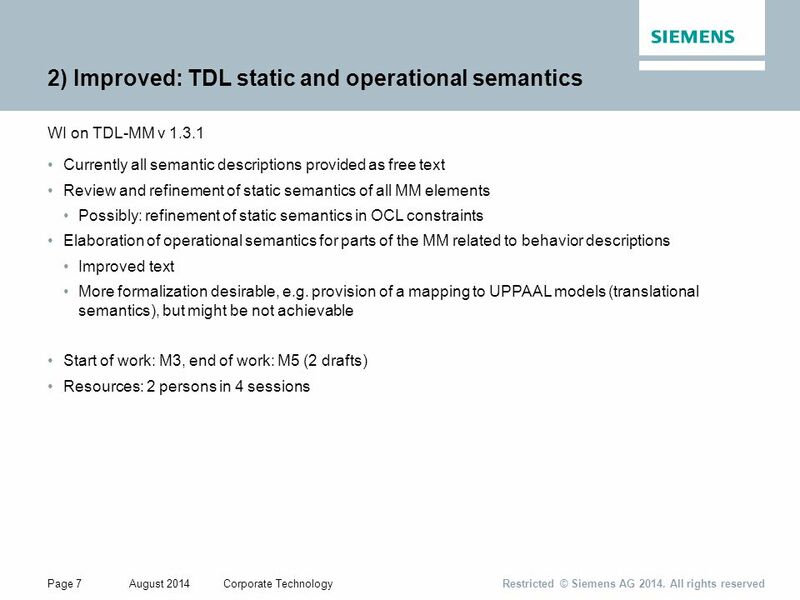 Formal Methods of Systems Specification Logical Specification of Hard- and Software Prof. Dr. Holger Schlingloff Institut für Informatik der. 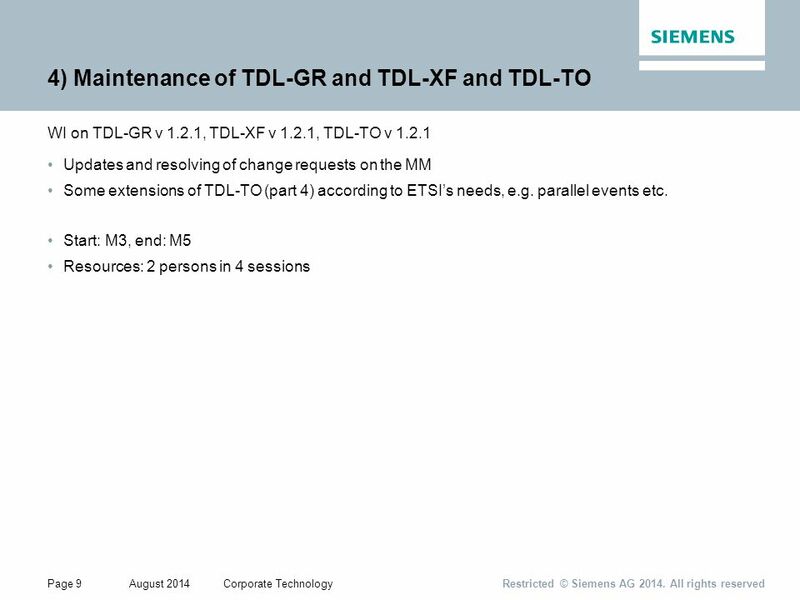 CT1404 Lecture 2 Requirement Engineering and Use Cases 1. Using UML and Alloy to Specify and Analyze Access Control Features Eunjee Song, Xi Hua SP05-CS681 Project Proposal. Major Exam II Reschedule 5:30 – 7:30 pm in Tue Dec 5 th. 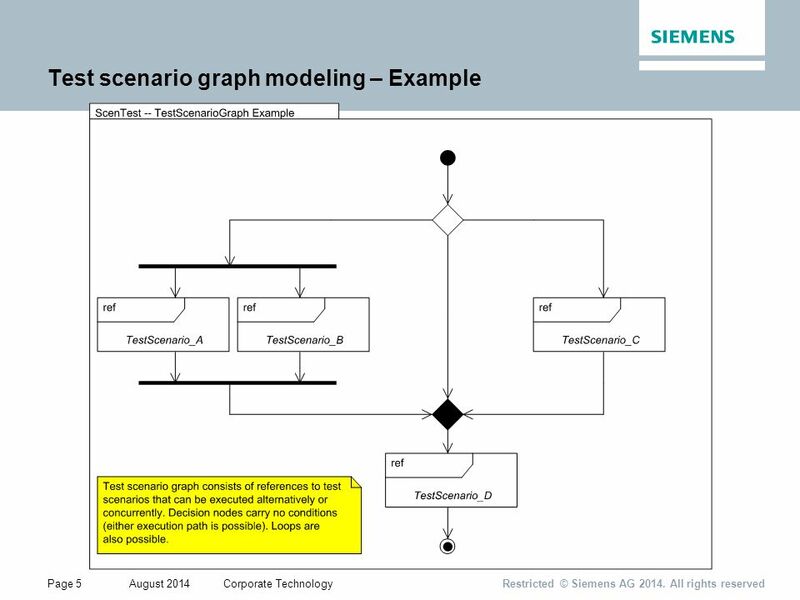 From Module Breakdown to Interface Specifications Completing the architectural design of Map Schematizer. 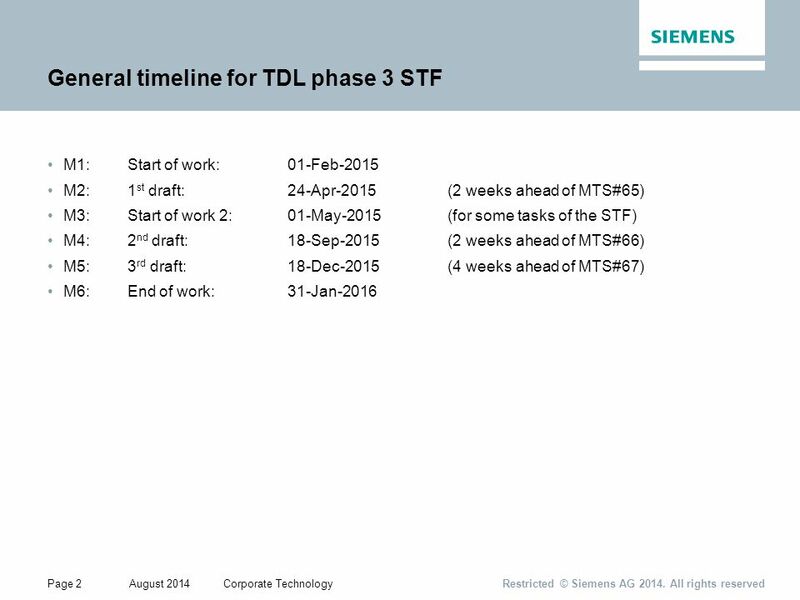 Automated Test Design ™ © 2011 Conformiq, Inc. CONFORMIQ DESIGNER On ES 202 951 v1.2.1 Stephan Schulz MBT Working Meeting/MTS#56, Göttingen.